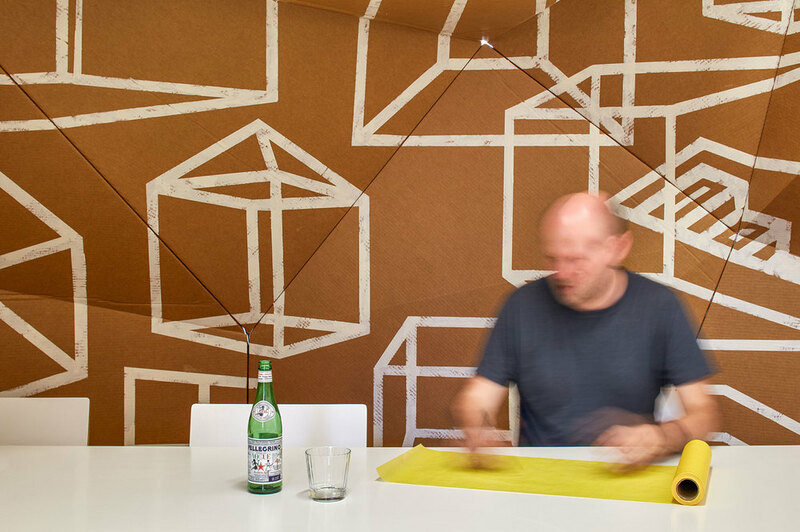 This project is for a small interior fit out of an architect’s studio located in a first floor room within a dishevelled Art Deco building in Camberwell. The brief required a form that would: separate the client meeting spaces from the general office clutter; be completed on a shoe string budget; represent something of the creative process that is undertaken by the office. Above all, the project was to be an exploration into alternate methods of form creation, structure, the use of materials and procurement techniques. Free hand sketching is one of the tools we use in exploring design ideas - it is where concepts often germinate. We decided to create a form reminiscent of a scrunched up piece of paper containing the scribbles and thoughts passing through a designer’s mind. The studio “thing” was born. The subsequent “scrunched” cocoon like form was designed to be both structural and aesthetic. 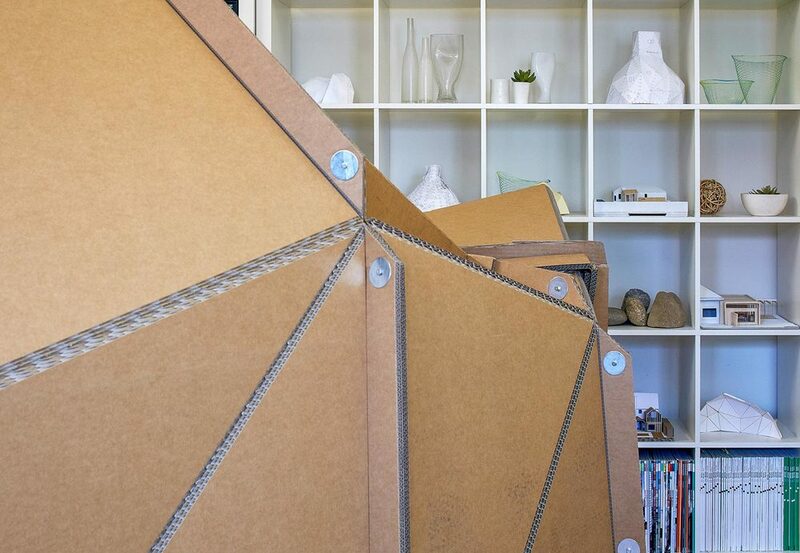 After exploring the design through various software packages and physical models we created a shape that was unwrapped and routed into flat cardboard sheets using a CNC router. No formal architectural documentation was required: no drawings; no details; no dimensions. 3 ply un bleached cardboard produced from sustainable plantations was the material of choice. The flat packed cut sheets were delivered to the office, with the initial assembly taking around 90 minutes. Subsequent bracing was created from the residual cardboard. The form is completely demountable and relocatable. The Studio Thing was then embellished with drawings of various architectural objects and forms. These shapes were painted on with crude dry brush painting to the cardboard and with removable vinyl tape on everything else. The forms then fall into perspective at the entrance of the studio, creating the impression of a cosmos of objects. Elsewhere in the studio they create interesting and unusual shapes and forms.